Medical Answering Services: Who's the Best? Medical Answering Services: Who’s the Best? A medical answering service is a company that can handle the after hours or overflow calls from your office. The type of services they offer vary a lot, from basic message relay and emergency dispatching to appointment scheduling and more. To find out who’s the best, we reviewed 2 of the top medical answering services and compared their price, features and reputation. See our recommendation as well as a detailed comparison below. Is Your Phone System HIPAA Compliant? Before you hire a medical answering service, you need to make sure you’re using a HIPAA-compliant phone system. RingCentral is a leading cloud-based communications provider that offers HITRUST-certified, HIPAA-compliant phone services. RingCentral allows teams, partners, and patients to securely connect and collaborate via voice, video, and messaging. Click here for a free trial. Basic Messaging. A receptionist takes the call, copies the message and sends it to you via email or text. If it’s an emergency, you or your on-call provider may receive a phone call or alert instead. Appointment Scheduling. Accessing your calendar, receptionists schedule patients for you. Usually they can also verify insurance and process credits over the phone. This type of service also includes appointment reminders. Nurse Triage. Patients can speak with a registered nurse and receive basic medical direction. This is ideal for physicians who want to give their patients 24/7 access to care, yet still sleep at night. Call4Health offers all 3 tiers of service at prices that beat their competitors. For as little as around $300/month, you could set up a full answering service, including basic messaging – in which a receptionist takes messages from callers and forwards them to you as a text or email, emergency dispatching – in which receptionists alert you or your on-call provider in the event of an emergency, appointment scheduling and appointment reminders. The equivalent service from Stericycle Communications would cost around $2,000/month. We recommend Call4Health.com because it offers the biggest range of services at the lowest price. Of all the services we reviewed, Call4Health is the only one to offer nurse triage, where a registered nurse can advise your patients after hours. What’s also nice about Call4Health is how you can pick and choose features to personalize your service. For example, if you prefer to handle appointment scheduling yourself, you could just use Call4Health just for appointment reminders and vice versa. As far as medical service pricing goes, Call4health comes out ahead at $131/month for 150 minutes. Call4health: Pricing varies based on the different features you want and the number of minutes you need (i.e. call volume) per month. Basic messaging costs $153/month for 150 minutes after taxes and fees. 150 minutes usually translates to around 100 calls.There’s also a $20 fee if you want to accept calls on a holiday. Call4Health counts 8 holidays throughout the year, including New Years Day, Labor Day, Memorial Day and the 4th of July. Call4Health also has an appointment scheduling service that charges separately. It’s about $131/month for 150 minutes. Appointment reminders, which can be added with appointment scheduling or separately, are charged at $0.13 per call. Just note that you may need more minutes for scheduling than basic messaging, since things like scheduling and copying credit card information can take longer. Finally, Call4Health’s nurse triage starts at $145 for 10 calls. It’s priced at $14.50 per call, but you have to sign up for a minimum of 10 calls. Stericycle: Like Call4Health, there’s different packages available and pricing varies based on call volume, as well as the number of physicians and locations of your medical practice. Basic messaging for 1 doctor at 1 location costs $178.87/month for 150 minutes. If you want appointment scheduling and reminders, the cost shoots up to around $2,000/month, which is far more expensive than Call4Health’s charge of $150-$300/month. Appointment reminders cost 20 cents each. Stericycle does not offer nurse triage. Aside from basic dispatching, each service offers a few unique feature. Call4Health offers nurse triage over the phone as an add-on service, whereas Stericycle agents can provide insurance verification. Call4Health: Call4Health offers the full range of answering services, including basic message relay, emergency dispatching, appointment scheduling, appointment reminders and nurse triage. Appointment reminders are unique in that callers will hear an automated message and be able to press 1 to confirm or press 2 to cancel their appointment. If they cancel, you have the option of forwarding that caller to a receptionist to reschedule the appointment.Nurse triage is another feature unique to Call4Health. Patients can speak with a registered nurse and receive basic medical direction, such as whether or not to go to the emergency room and/or what measures they can take at home before getting in touch with their doctor the next day. Stericycle: Like Call4Health, Stericycle offers the full range of services minus nurse triage. They also do a few things Call4Health does not typically do, such as process and verify insurance information over the phone. This is ideal if you have a lot of first time patients. Call4Health also records personalized messages for appointment reminders and offers call recording. While these advanced features partly explain the higher price tag ($2,000/month), it’s questionable whether or not they justify it. Call4Health has most of the same features for only around $300/month. Because HIPAA regulations can prohibit physicians from receiving patient messages via normal SMS text, both of these services offer a secure mobile app for messaging. 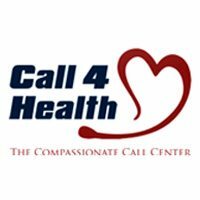 Call4Health: Call4Health has a basic mobile app for receiving messages. As with the other apps, it adds extra security measures to comply with HIPAA standards of patient confidentiality. The cost for the mobile app is $6/month. 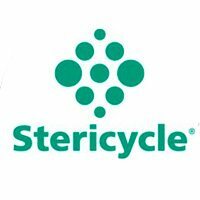 Stericycle: Like Call4Health, Stericycle has a simple mobile app for receiving messages. 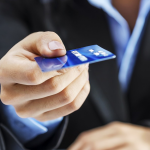 The cost is $10/month plus a one-time fee of $135. There’s not too much in the way of user reviews for these services, however we were able to gauge their reputation by reading employee reviews on Indeed and and reading customer reviews on the app store. From what we heard, both appear to be reliable and professional services. Call4Health: Call4Health has mostly positive reviews on Indeed. Many employees note the higher level of responsibility they get compared to a regular call center job and the specialized medical knowledge they receive. Still, it doesn’t seem immune from the typical call center grind, such as the high call volumes and repetitive work. Stericycle: Like Call4Health, Stericycle Communications has mostly positive reviews on Indeed. Employees enjoy the responsibility but note typical call center issues, like high call volume at certain hours. For doctors and medical professionals, it’s important to choose an answering service that specializes in the medical industry. Not only are you more likely to find the set of services you need, like appointment confirmations and emergency dispatching, but you can be assured receptionists are familiar with medical terminology and trained to handle the sensitive needs of patients. Also, you’ll find HIPAA compliant solutions for receiving text messages and communicating with patients, which you probably won’t find from a generic answering service. As for who’s the best medical answering service, Call4Health is the clear winner. They offer just about all the same features as Stericycle, plus more (nurse triage) and have a similarly positive reputation. Yet, their service costs a fraction of the price: almost 1/6th as much. I thought this article was a review, but it looks like this is an advertisement to me too. I like http://www.nomorephonetag.com/doctor-answering-service/ better. They are more reasonably priced too at $65 a month. No More Phone Tag Inc. is the best company we have Ever used!! By far! Thank you so much for your insight, Gail! We’ll be sure to look into that service! Thanks for sharing. We’ll look into the provider you linked during our next revision. $65/month is indeed very reasonable – especially for a service that provides a live attendant. As for your first point: Our review is purely based on the best level of service/features you can get for the price. Ringadoc is a lot cheaper than the other services, but they don’t have a live attendant answering. Call4Health offers appointment scheduling, appointment reminders (to patients) and nurse triage among other benefits. Plus, they come out cheaper than the other competitors we looked at. This article appears to be a paid advertisement by Call4Health, who should be embarrassed to think that readers would not see thru this. By disregarding many, many critical factors, this article severely misrepresents the truth about the answering service industry and these companies, let alone who is the “best” answering service. Cost alone, and I have doubts that those were represented accurately, do not provide any indication of who is the best. I believe that all 3 of these companies, as well as other service providers, provide acceptable to excellent services based on the application they are being used. I understand why this question comes up. We do in fact have relationships with some of the providers we review, but it does not play any part in our recommendation. All of our buyer’s guides are independently researched first, then we seek partnerships afterwards. Even if unsuccessful, however, we still recommend who we think is the best. If you want to read more about how we make money, you can read the article posted at the footer of this website. If you found a favorable slant towards Call4Health that’s because we found them to be literally more favorable in those areas. If there’s any critical factors you feel we missed, please share and we’ll be happy to address them in our next update. I agree that all 3 companies provide strong service in one specific area or another. Ringadoc is great for emergency messaging, but it doesn’t offer human answering or appointment scheduling. Likewise, Stericycle is competitive as an answering service, but their appointment scheduling is over 10 times more expensive than Call4Health. Thus, when you factor everything together (dispatching + answering + appointment scheduling) you can see why we recommended Call4Health as the best all-around solution. Hope that clears things up, but if not I’m happy to answer any more questions.